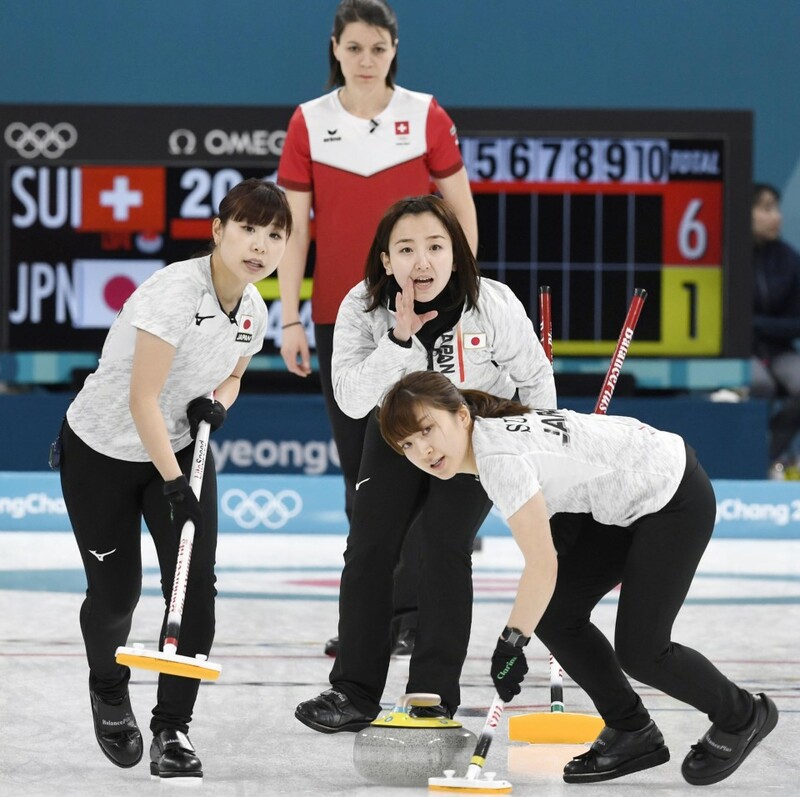 Japan's women curlers suffered an 8-4 defeat at the hands of Switzerland on Wednesday, but booked a spot in the semifinals with a 5-4 record at the Pyeongchang Winter Olympics after the United States fell to Sweden in their round-robin match. Japan's men, however, failed to advance to the playoff stage after conceding their game against South Korea 10-4 and completing the round-robin stage with four wins and five losses. It was the first time a Japanese men's or women's team advanced to the final four at the Winter Olympics. In Friday's semifinals, Japan will face South Korea, which it beat 7-5 to hand the host its only round-robin defeat. The Japanese team featuring skip Satsuki Fujisawa, lead Yurika Yoshida, second Yumi Suzuki and third Chinami Yoshida placed fourth in the preliminary round behind South Korea (8-1), Sweden (7-2) and Great Britain (6-3). The United States, the only team which Japan potentially could have played a tiebreaker against, slipped to its fifth loss, falling 9-6 to Sweden. 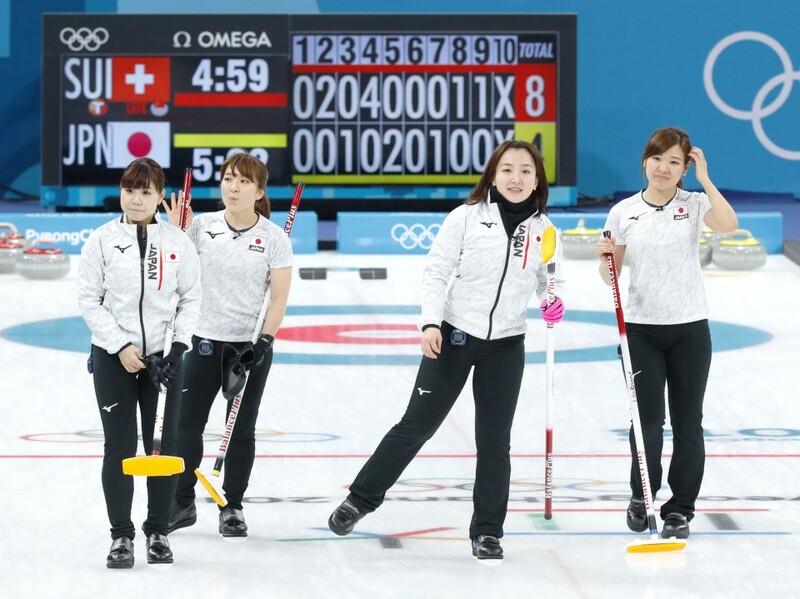 Despite the good news of getting through, Japan's match against already-eliminated Switzerland at Gangneung Curling Centre was nothing to smile about. "To be honest, this is a complicated feeling," Fujisawa said after hearing the news of a semis berth. "We are able to advance to the semifinals even though we lost this much. It's kind of a bitter feeling, but we still have been given a chance, and so we want to make a full effort. I won't let us end this way." The women's game opened with a scoreless first end before Swiss skip Silvana Tirinzoni secured two points with her final draw shot in the second end for a 2-0 lead. 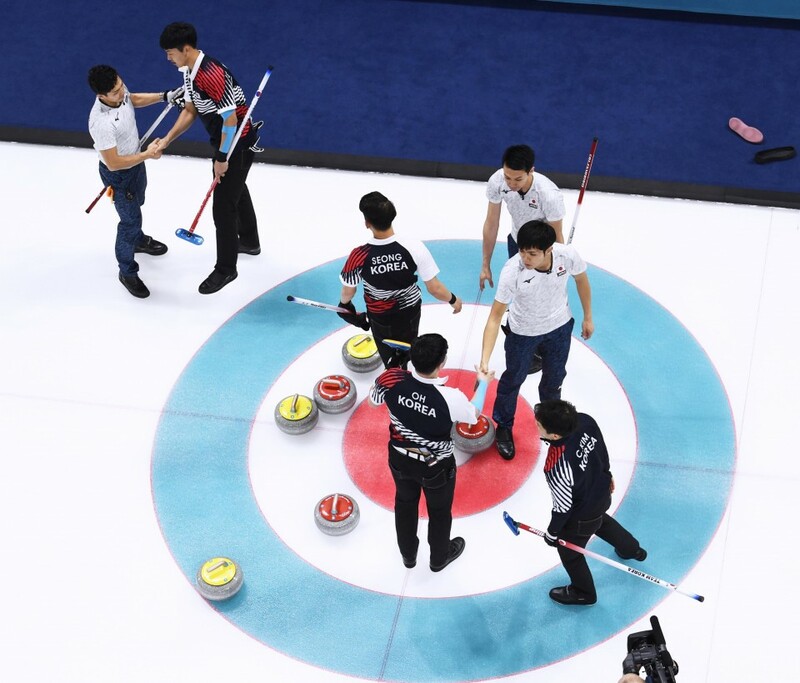 Fujisawa pulled one back on the hammer in the third end, but the Swiss piled on the damage with four points in the fourth end, when the game got out of hand for Japan. In that decisive end, Suzuki put two draw stones above a Swiss draw stone. Chinami Yoshida got a precise hit and roll off her opponent's stone to put a stone near the button, but it was taken out by third Esther Neuenschwander. Chinami Yoshida attempted a double take-out but hit one off the Swiss team's guard stones, negating the attack and leaving two Swiss stones within the house. By the time it was Fujisawa's turn, there was no room around Japan's own guard stones that blocked the way to three Swiss draw stones like a minefield. Tirinzoni then added insult to injury, using the hammer to add four points for a 6-1 lead. In the fifth end, Suzuki cleared a swath of three guard stones and her opponent's draw stone near the button on a heavy shot and the sides took turns taking out each other's draw stones until a break came for Japan when Tirinzoni missed a take-out shot. After a failed double take-out by Tirinzoni, Japan narrowed the gap when Fujisawa scored a deuce with the final shot. In the seventh, Japan laid down three guard stones at the end of the seventh with a draw stone inside the house near the target, and Tirinzoni failed to execute a take-out, giving Japan another point against the hammer. But Switzerland got another steal with the hammer in the eighth to extend it to 7-4. Japan was holding on by a string and when Fujisawa's double take-out attempt left one Swiss stone closer to the button for another point in the ninth, the Japanese conceded. In men's play, Japan's foursome, led by skip Yusuke Morozumi, entered the game against the already-eliminated South Koreans needing a win to advance to the semifinals, but committed several costly errors that squandered its chance to go through. In the sixth, Morozumi missed his mark again and removed two of Japan's stones from the house, as South Korean skip Kim Chang Min picked up four points on his final draw stone. Japan conceded the game after the South Koreans scored three points in the eighth end. "We've been doing our absolute best at these games," Morozumi said. "Our shots in the final game weren't so good. I hope we get to redeem ourselves at the next tournament we have for not being able to deliver everything we had." The Japanese men's team was making its first Olympic appearance since 1998, when the country hosted the Nagano Games and finished fifth. Second Tsuyoshi Yamaguchi said, "Japan competed for the first time in 20 years, so we've moved one or two steps forward. I want to keep doing whatever I can without stopping." Sweden, Canada and the United States qualified for Thursday's semifinals, while Great Britain and Switzerland will play in the tiebreaker. The medal matches are scheduled for the weekend.